Having trouble protesting the charges on a hospital bill? Can’t get the Social Security Administration to explain why your benefits have been delayed — or worse, denied? Having issues with a social medium (think Facebook, Twitter, et al.) failing to help you address bullying or harassment of you or your child? Been calling the highway department for months about dangerous potholes in your street and received only broken promises of action? Concerned about the safety of your kids in their local school only to have the school board brush off your questions? Angry that police seem to stop you and charge you with motor vehicle beefs but not the next guy? Can’t get city hall to provide data from police on the nature of vehicle stops by age, gender, or race? If someone or something has hurt you, and government or business or politicians blow you off, Who you gonna call? You call a journalist. They listen to people’s stories. They look for patterns in people’s problems. They call the agencies or the corporations or the school board or city hall to ask Why are you doing this to people? A journalist is not your enemy, despite what the president of the United States claims. Journalists operate to hold the corporation, the government, the regulatory agency, and the politicians accountable for what they say or do. They investigate claims of harm. They poke investigative flashlights into the darkness into which your complaints and concerns have vanished. 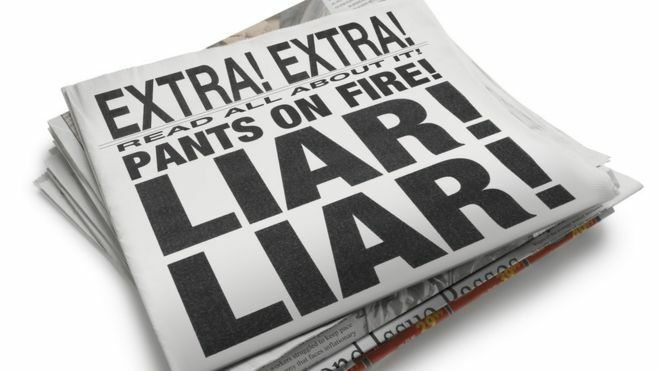 The president of the United States has tried repeatedly and arrogantly to make you believe that journalists lie, that they make up sources, that they have an agenda to make the president of the United States fail at his job. The president of the United States has said journalists are at war with the American people. He decries the work of journalists as fake news. That’s authoritarian deceit used to cover the more than 4,000 falsehoods fact checkers say he has uttered as president. Those lies are verbal distractions to cover the numerous scandals and ethical morasses he and his appointees have wallowed in. That’s the press’s job: Look out for you. Look out for your issues. Look out for your problems. In the words of my newsroom godfather, Neil Perry, the principal job of a journalist is this: Defend your reader. If the president of the United States has issues with journalists, then he should 1) look to his own actions or lack of actions and 2) read the First Amendment (perhaps for the first time). Today more than 350 newspapers fought back against the president’s attacks on the press and his labeling of journalists as “enemies of the people.” In their own words printed independently, they defended their work as important to democracy. That’s 350 newspapers fighting back against the malignant claims of the president of the United States. Think of yourself. Your family. Your career. Your children’s futures. Your opportunities, or the lack of them. Your health. Your wallet. Your ability to prosper in the alleged Land of Plenty. Your happiness.